Imagica is a magical & fun-filled world of its own, offering entertainment, fun, relaxation, dining, shopping and accommodation at a single location. Offering a world class Theme Park, international standard Water Park, India’s largest Snow Park & first theme park hotel - the luxurious Novotel Imagica, Imagica is India’s favourite family holiday destination. Imagica is located off the Mumbai- Pune expressway at Khopoli approximately a 90 minute drive from Mumbai & Pune. Due to its proximity, Imagica is easily reachable from anywhere in India via air, rail or road. Imagica also offers bus and car packages with pick up options from Mumbai and Pune. Spread over 130 acres, this ‘all weather family entertainment destination’ provides interesting experiences to all its guests, 365 days a year. With 24 indoor & outdoor rides and attractions, and 5 F&B outlets to choose from, Imagica Theme Park is the perfect destination for friends and family alike. While easy rides such as Mambo Chai Chama, Tubbby Takes Off and Wagon-O-Wheels are for the tiny tots, attractions like Mr India, I For India, Rajasaurus – The River Adventure and Splash Ahoy have something for everyone in the family. For the thrill seekers, there are massive roller coasters and high-speed adventurous rides such as Scream Machine, Nitro and Gold Rush Express. So whether you are looking for a fun-filled outing with friends or some bonding time with family, Imagica has it all! 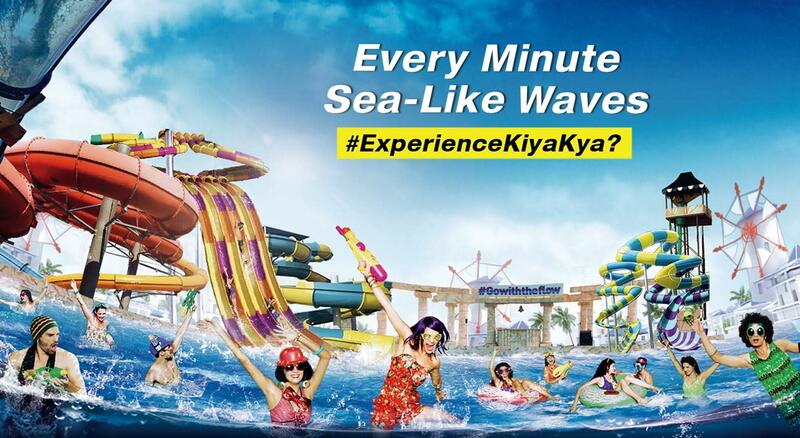 Located next to the Theme Park is Imagica Water Park. Inspired by the Greek Mykonos theme, Imagica Water Park welcomes visitors with 14 thrilling rides like the Loopy Whoopy, Swirl Whirl and Twisty Turvy and 7 exciting restaurants that will entertain your stomach in every way. The chilled out vibe at this day party destination just makes you want to ‘Go With The Flow’. It is recommended that guests carry the required swimwear while visiting the park, which is compulsory for all the rides. There are swimwear options also available at the park’s retail outlets. The Water Park also offers locker facilities for guests to keep their personal belongings. Spread over 30,000 sq feet, the recently added Imagica Snow Park is India’s largest, with real snow fall and a 50 foot dome. Imagica Snow Park has a variety of activities for guests visiting for a 45 minutes session. Enjoy the magic of snow by playing basketball, sliding down the toboggans and rafts, climbing the rocky snowy mountains, having a snowball fight or just relaxing and sipping a cup of coffee at minus 5 degrees. Guests can also spend their time doing activities like snow hiking, snow rafting as well as dance on the snow dance floor or pose amidst the snow castle and one-of-its-kind ice sculptures. The park, which provides jackets, gloves and boots to its guests on entry, is also environment friendly with 100% edible snow made from purified water and no chemicals or preservatives. With the Imagica Passport you can keep coming back to the world of Imagica and enjoy thrilling rides, world-class slides, unique shows, mouth-watering food, and stellar services all year round. Valid for 1 year from the time of purchase, your Passport enables you to visit Theme Park and Water Park up to four times. To get started, book for either Park, with any date for your first visit. Choose when you want to visit, how you want to visit. You can visit the Theme Park or Water Park 4 times in a year – unlimited access to 39 of India’s best attractions, rides & slides. You also get exclusive discounts & benefits on dining, souvenirs, & services, all included with a personalised card for each Passport holder.